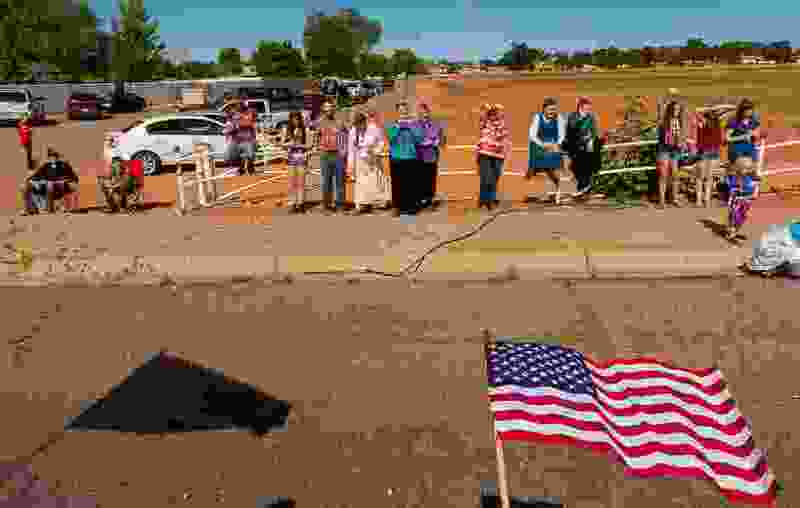 Trent Nelson | The Salt Lake Tribune Onlookers in a variety of dress line the sidewalk for the Colorado City and Hildale Fourth of July Parade in Hildale, UT, as part of an Independence Day celebration Saturday July 2, 2016. Elissa Wall says she went door to door in Hildale making sure voters lived at the homes where they were registered. She also registered adults who weren’t already signed up. A few people were agitated with her questions, she said. No one, however, answered the door wearing a prairie dress. Wall is among a group wanting fair elections in Hildale. Hildale, and adjacent Colorado City, Ariz., are the home of the polygamous Fundamentalist Church of Jesus Christ of Latter-Day Saints. The Nov. 7 election could give Hildale its first mayor and City Council members who don’t claim FLDS affiliation. Wall said she and her partners submitted the names of 102 voters they contend should be removed from the roll. As of Thursday, the town had 365 registered voters, according to the Washington County Clerk’s Office. 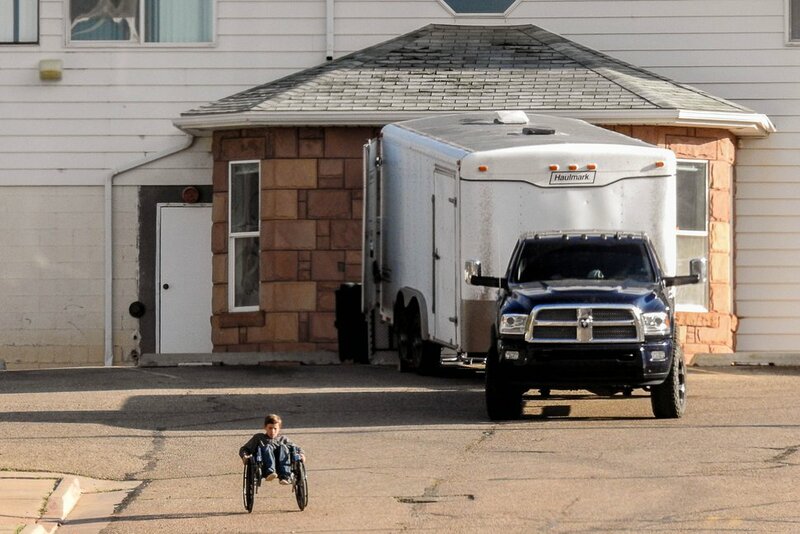 Trent Nelson | The Salt Lake Tribune As the former health clinic in Hildale is emptied out in anticipation of an expected UEP Trust eviction, FLDS boys are seen rolling wheelchairs down the long driveway, Monday May 8, 2017. Melanie Abplanalp, the election supervisor for Washington County, said her office is working with Hildale’s municipal government to determine whether those voters are eligible. Efforts will be made to contact the challenged voters and give them an opportunity to prove they live at their registered address or to update their new address, Abplanalp said. The challenges reflect a concern among Hildale’s non-FLDS about how fair the election will be. While the Washington County Clerk’s Office is running the election, ballots can be submitted only by mail or at a drop box. Many FLDS members have moved out of town or changed addresses during the past few years due to a dispute with the land trust that once owned most of the homes in Hildale. The non-FLDS constituency is worried those who should be ineligible to vote will still cast ballots, or that members who have not lived in town for years will be recruited to register to vote. The lieutenant governor’s office, which oversees elections in Utah, provided some training to Hildale officials and has been getting updates from the Washington County Clerk’s Office, said Justin Lee, deputy director of elections for the state. When asked whether he was confident the election would be fair, Lee hesitated. | Courtesy Donia Jessop Donia Jessop, candidate for mayor of Hildale, Utah, in 2017. 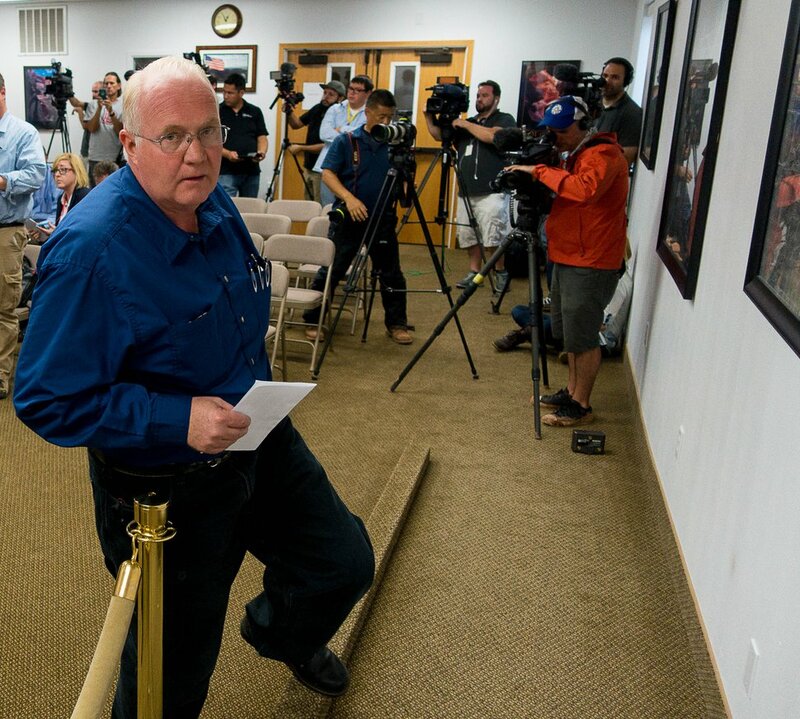 Trent Nelson | The Salt Lake Tribune Incumbent Hildale Mayor Philip Barlow said he has no problem with anyone cleaning up the voter rolls. But he is frustrated that religion has arisen in the campaign. He said the town can function well even if some of the candidates from the non-FLDS slate win. 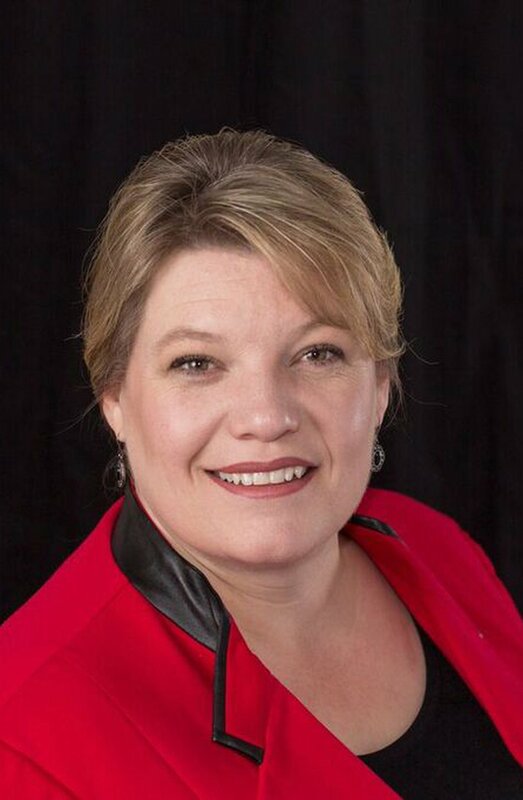 Donia Jessop is running for mayor after being nominated at an unofficial convention attended by mostly people who do not follow FLDS President Warren Jeffs. She said she plans to examine ballots and challenge the results if she, or two City Council candidates nominated at the same convention, lose. She maintains that it’s not that her opponent or the FLDS members belong to that faith. The issue, she said, is that they are not responsive to the infrastructure problems and lack of services in the towns, which is deterring new businesses from starting. Her opponent, incumbent Mayor Philip Barlow, said he has no problem with anyone cleaning up the voter rolls. But he is frustrated that religion has arisen in the campaign. He said the town can function well even if some of the candidates from the non-FLDS slate win. Abplanalp is confident the election will be fair. She says the Hildale city clerk has been good to work with. And Abplanalp points out the county will be handling the ballots. “We’ll be in charge of counting, verifying and auditing,” she said. Unless there are landslides, the results may not be available quickly. Ballots can be postmarked through Nov. 6, meaning it could be days before the final votes are in. Of the 102 voter challenges, Wall said she doesn’t know how many are loyal to Jeffs. “It’s going to be up to the individual voters to do what they can to make it a fair election,” Wall said. Hildale has an estimated total population of 2,945, according to the U.S. Census Bureau. Jeffs is serving a prison sentence in Texas of life plus 20 years for crimes related to sexually abusing two girls he married as spiritual wives.